Here is a beautiful legend from my land. 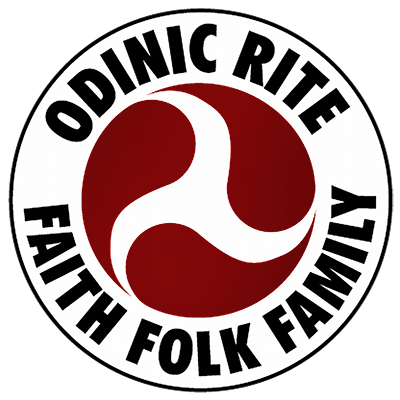 This is not really “Odinic” but it’s interesting because it shows that despite the Christianization of the folk, the belief in the invisible world has never completely disappeared. In fact this belief remains deeply entrenched in the soul of our Folk. This story speaks about fairies, but as you will see, we can easily replace the word “fairy” with “elf”. Indeed, the fairies of this legend are really similar to the elves from our myths. They are very benevolent, they are concerned with fertility, harvest, the weather, the well-being of humans, etc. So here is the legend of “Le Cliot de Tsèrafouén” as I have heard it. I hope you will enjoy it. “This story happened a long time ago. It was when our people lived with what the land gave them for survival. It is said that at that time, a tribe of fairies haunted some underground caverns located between the villages of Chermignon and Montana. They were very good fairies, kind and helpful, who asked only to make themselves useful by wise advice because fairies can do anything and have knowledge of everything. They knew even how to predict the weather for the days to come. At the same time, a very wealthy young man lived in a village near the fairies’ cavern. Following inheritances, he had a very large farm where he ploughed and sowed wheat. People from the village said that with his annual harvest, he would be able to nourish the village for the entire year. After meeting her by chance, the young man fell in love with the youngest fairy of the tribe. The young fairy was deliciously beautiful, kind and gentle. The young man was so in love that he proposed to her to marry him. The young fairy was really happy to accept the proposal but she had one condition: the marriage would be cancelled the day when he would tell her malicious or insulting words about the malformation of her feet. For it is said in the legends that fairies have feet without heels. Nothing offends fairies more than taunts about their deformed feet. The young man was very happy and promised never to speak any malicious or insulting words about her feet. The marriage took place and everything was going well, their love was cloudless and they were happy together. The only shadow that was cast was that the couple unfortunately had no children. The young man was saddened by this and found the situation hard to accept. As for the fairy, she was very attached to the village’s children and with her kindness and her compassion she lavished alms wherever poverty arose. A year came when nature seemed particularly generous. The harvest promised an abundance of grain. One day, shortly before the full maturity of wheat, the man went into the vineyards to do some work and he returned home very late. He was very surprised to find at the entrance of the village a group of women, the gossips of the community. They were waiting there to tell him that his wife, along with the other faeries of the tribe had harvested all his wheat and that they had piled it up in his barns and grain stores in regular layers with sheets of hazel tree between them. The man immediately thought of revenge from the fairies that were maybe jealous that he married one of them. He thought that they were trying to ruin him, because the wheat was not ripe and so, the harvest was devastated. All that the fairy had prophesied came true: the hail came and it destroyed everything in the country. The wheat finished its maturation in the barns and in the grain stores, and so there was food on every table. Nobody heard children crying from hunger, thanks to the wisdom of those good fairies. But nobody could thank them for that, because that same night, the fairy tribe disappeared and nobody knew to which country they emigrated.